Executive Mosaic’s GovCon Index closed above the 90-point barrier for the first time in two months Friday to end the week higher as all three major U.S. stock indices closed at record highs for a second consecutive session on extended investor anticipation over President Donald Trump’s tax announcement within the next few weeks. GovCon Index advancers outnumbered decliners by a 9-to-1 ratio as 10 of its 11 S&P 500 components registered gains with Lockheed Martin (NYSE: LMT) the top net performer among co-listed companies, while Cubic Corp. (NYSE: CUB) ended as the GCI’s overall net leader. Cubic climbed to a 52-week high after the San Diego-based defense and transportation contractor reported a 7-percent increase from the prior year period for first quarter sales, which exceeded Wall Street’s expectations. 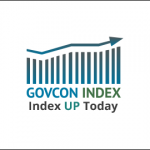 Seven companies listed in the GovCon Index and S&P 500 composite index added at least $1.00 each Friday: Lockheed, Boeing (NYSE: BA), L3 Technologies (NYSE: LLL), General Dynamics (NYSE: GD), Northrop Grumman (NYSE: NOC), Harris Corp. (NYSE: HRS) and Honeywell International (NYSE: HON). In conjunction, the S&P industrial index added nearly 0.75 percent on the resurgent Trump post-election rally in U.S. equity markets. The GovCon Index has climbed 7 percent and the S&P 500 has risen 8 percent since the Nov. 8 election on investor expectations of lower corporate taxes and regulations along with increases to defense and infrastructure spending. On a weekly basis, 23 of the GovCon Index’s 30 companies advanced with AECOM (NYSE: ACM) the top percentage gainer and co-listed CSRA (NYSE: CSRA) the lowest performer.